SSI has been developing AD&D role-playing titles for some time. 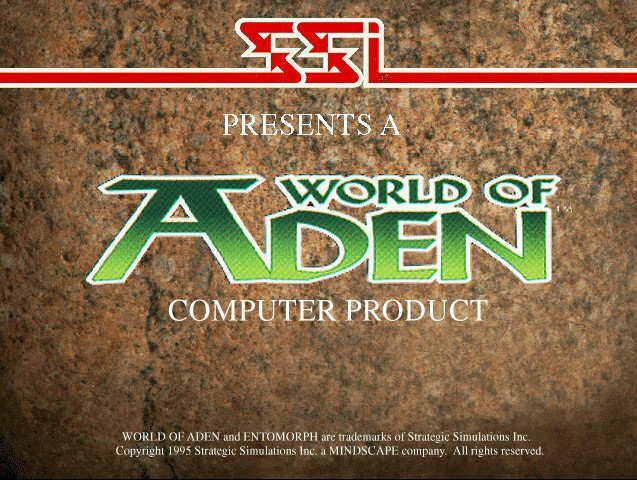 Building on their considerable experience in this area, the company has created its own role-playing universe called The World Of Aden. Their second World of Aden title is Entomorph: Plague of the Darkfall, an action/role playing game which has no involvement with Thunderscape, the first World of Aden title, other than being set in the same world. The player is Squire Warrick, a character who wakes up on an island one day to find that his memory is gone. 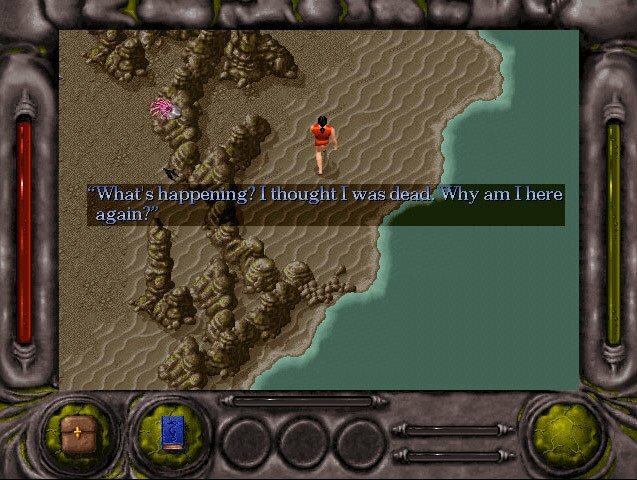 Your character eventually finds out that the island is being invaded by hordes of insects and other monsters which feast on the blood of the living. 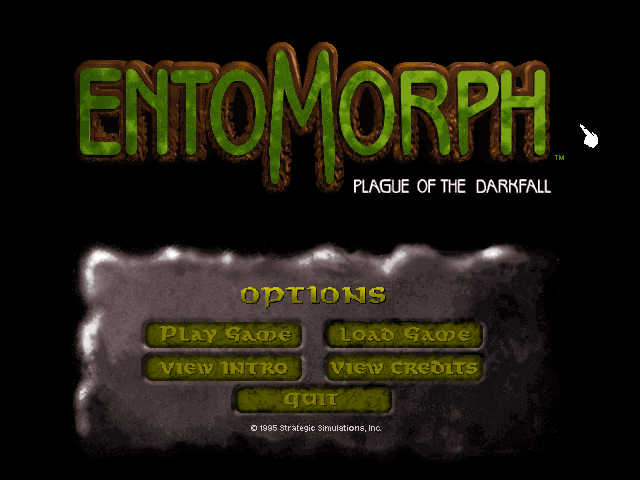 Through interaction with characters and events in Entomorph, Warrick becomes involved in a complex storyline in which he must stop a plague of insectoid creatures. What’s worse is that as Warrick travels along, he realizes that he has contracted this plague and is turning into an insect himself. Entomorph isn’t your normal role-playing game. 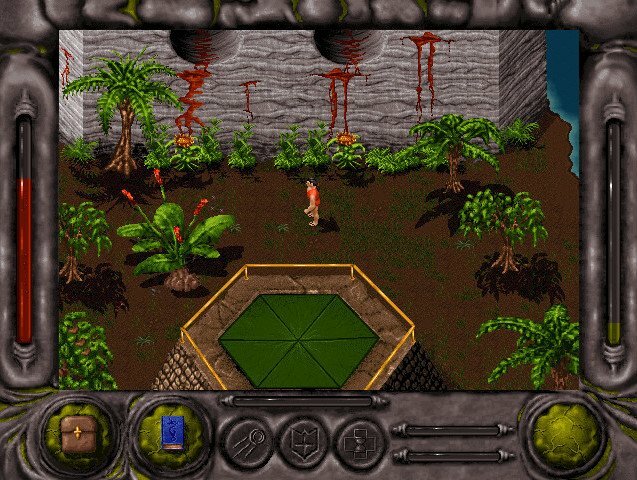 The game is viewed from an isometric standpoint and all of the action is in real time. 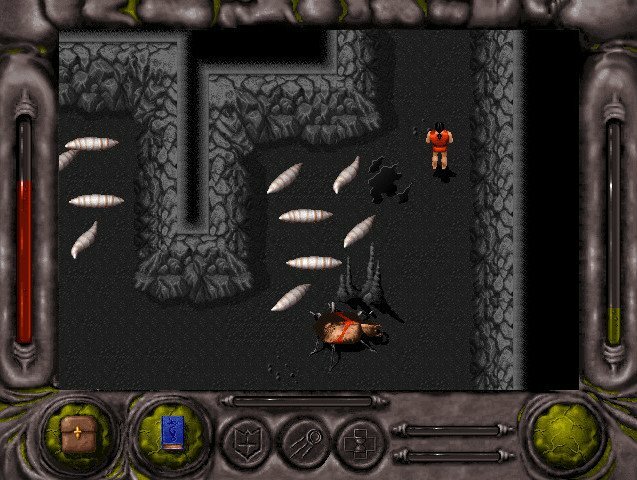 It’s not quite an action game, where you blast from one room to the next, but there is a healthy dose of fighting your way through insect hordes. Entomorph still manages to incorporate a lot of role-playing and adventure attributes through an engaging branching storyline, character development, puzzles to solve and mini-missions to complete along the way. 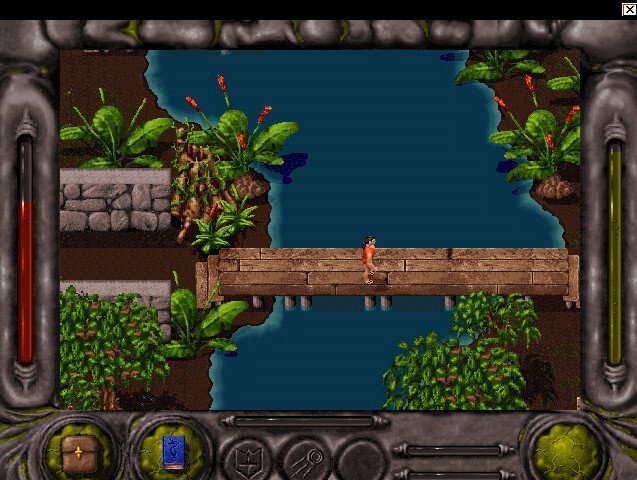 The game is played through a mouse or joystick which is used to control our hero Warrick. 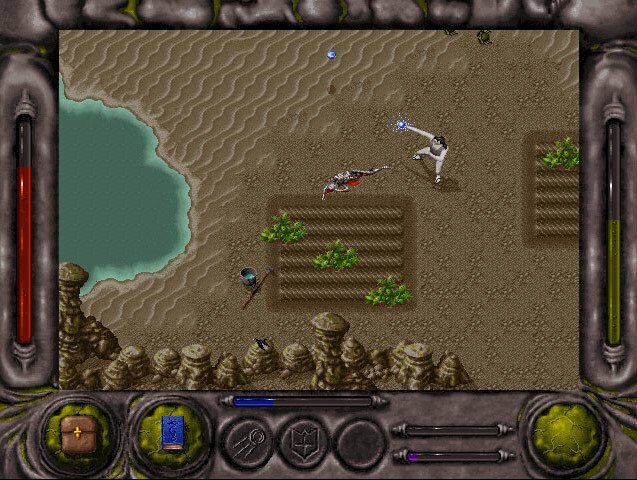 At the beginning of the game Warrick begins with only his own two hands to fight the evil creatures, but he’s able to gain different spells as he travels throughout the world, providing powerful weapons and armor. Fighting is accomplished by positioning Warrick directly in front of whatever he wants to destroy, and pressing the button. 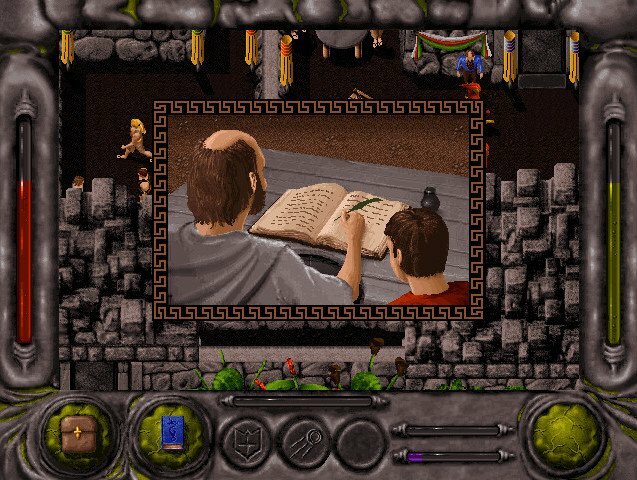 When spells are acquired, they go into Warrick’s spell book, which can be accessed whenever he needs it. 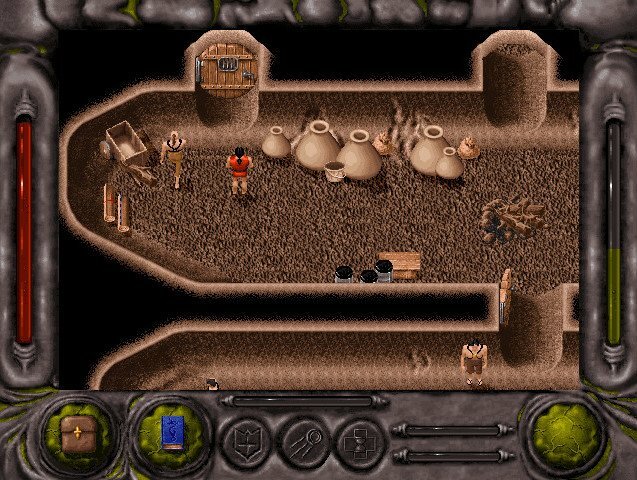 Up to three spells can be in readied at any one time, each spell being activated by a corresponding key on the keyboard. 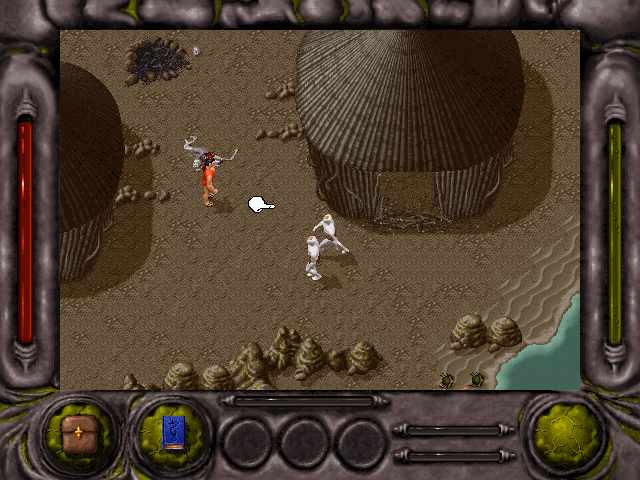 Warrick’s hit points are shown by a bar on the left side of the screen while his mana, the points used for casting spells, are shown by a bar on the right side. 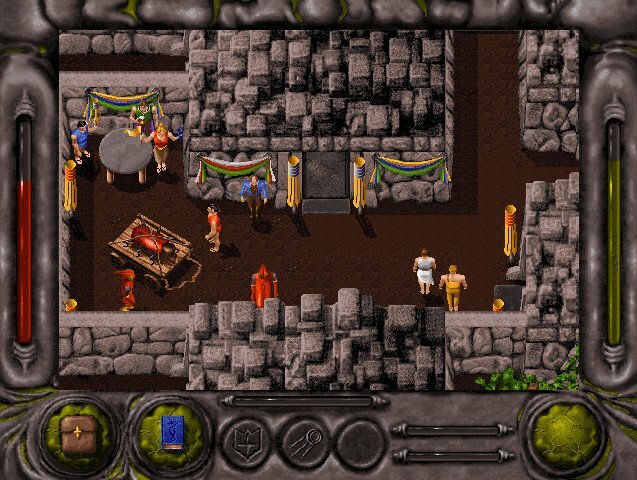 Entomorph is an odd blend of action and role-playing. There are a ton of things to squash and kill, but there’s also lots of puzzles along the way with an involved storyline. 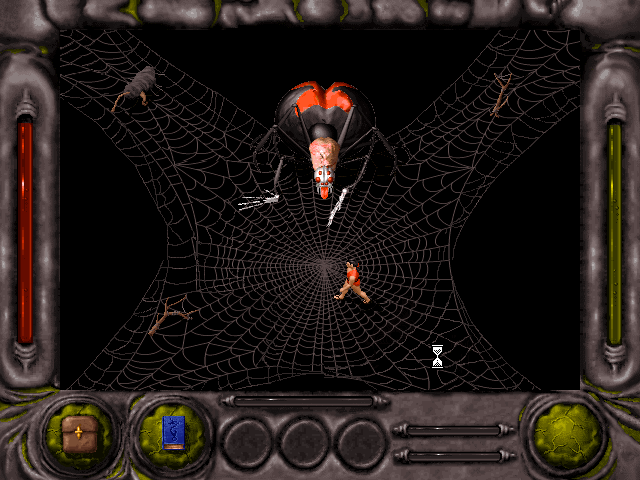 Warrick will have to travel through many horrid, oozing levels and meet (and kill, kill all the big bugs) lots of horrid, oozing creatures to complete his mission. With good 2D graphics and an original soundtrack to match, Entomorph manages to capture one’s attention despite its odd subject matter.